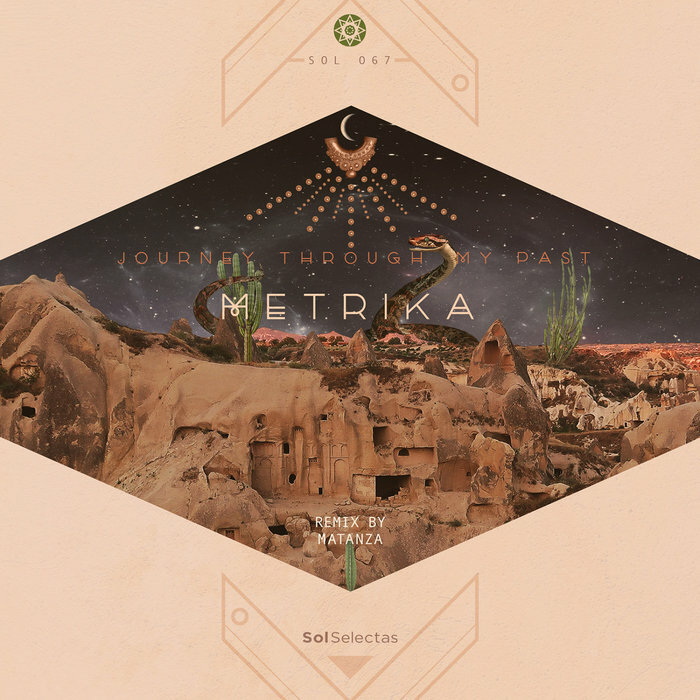 Sol Selectas is pleased to welcome back Mexico's Metrika for his first solo EP. Journey Through My Past tells the musical story of the artist, capturing all of his knowledge and experience into the creation of these three original songs. The moody "Yo Naca" is a deep tribal house journey featuring vocals taken from a traditional Icaros ceremony. For the remix, the label invited back their friends Matanza from Chile. Elsewhere, "Oda A Un Bata" features recordings of a traditional Cuban percussionist living in Mexico City, who had revolutionized ancient drumming techniques and the terrific EP closes out with the moody dancefloor drama of "Once Upon A Triplet" (original).